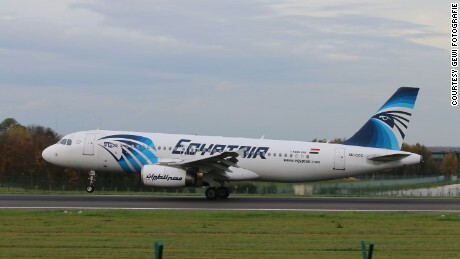 Egyptair 804 disappeared over the Mediterranean Sea last week. The aircraft, an Airbus A320, was carrying 56 passengers and 10 crew when it vanished from radar screens at about 2:30 am local time (00:30Z). There were no survivors. While recovery of the wreckage is underway, the only other notable factor concerning the accident was a flurry of automated maintenance messages received from the aircraft shortly before its disappearance. The system, known as Aircraft Communications Addressing and Reporting System (ACARS), is used to send data messages about the operational and mechanical status of an airliner to the company for various uses. For instance, when you bring up the arrival status of your flight on your phone, that exact arrival time is derived from data sent over ACARS. The system also sends maintenance status reports to help track the mechanical status of the aircraft and also to alert ground maintenance personnel of impending problems. These messages indicate that smoke was detected by the lavatory and avionics smoke detectors and that the window heat computer detected an overheat condition. The avionics bay is an area below the cockpit where most of the aircraft's computers and radios are located. What these messages mean when taken together is anyone's guess. They could possibly indicate the presence of an onboard fire or might only indicate multiple erroneous inputs from a failure of the reporting system. At this point no determination can be made about the nature of the malfunctions or their origins. This will no doubt have to wait until the data and voice recorders are recovered. This recovery effort is underway. What we don't know is if the fault was in the window, the wires to the window, or the WHC(Window Heat Computer) itself. The WHC is in the avionics compartment along with some of the other components (SEC). However, the FCU is mounted on the glareshield. Its fault may be due to something happening on the glareshield or possibly some other cause related to data coming from components that are in the avionics compartment. Remember too, that the message record may not be complete, nor are all the messages that were received in chronological order. They are time stamped, but only to the minute. A message triggered at 00:26:59 may actually arrive ahead of one triggered at 00:26:01 depending on several factors of the transmission handshake protocol and when communications were interrupted. Retrieving the DFDR will be key in deciphering these clues with certainty, along with other wreckage baring chemical and metallurgical clues as to the nature and cause of the smoke. That hunt will be difficult, expensive, and probably not quick. The sea floor is 6–10,000 feet deep there. If the initial debris is any indication, the airplane will be in many thousands of pieces like the wreckage of Air France 447 (June 2009)—which took two years to locate in the 12,000 foot deep section of the Atlantic Ocean north of Brazil. I had no idea that the Med was that deep. I agree that this one will probably have to wait for the DFDR to be found. My guess is that some sort of purposeful event brought down the airplane but until the recorder is found, it's anyone's guess.